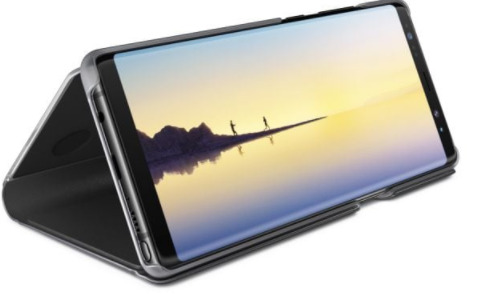 The Samsung Galaxy Note 8 is a more refined form of the Galaxy Note 7, its huge screen is one of the many benefits that make it stand out from other Android smartphones and Samsung products. If you are surfing the internets or watching videos, it gives you a very clear screen display. If you are a business-oriented person and you need a phone to take meetings or for taking notes, then you should buy the Samsung Galaxy Note 8. Its camera is top notch as it has a dual lens camera, two 12MP sensors that give you the best pictures as well as videos. The Samsung Galaxy Note 8 helps improve your creativity, it has applications like Autodesk SketchBook and Adobe Photoshop Sketch that helps with that. It’s a very stylish phone, its features are fantastic most especially it's 6GB and its beautiful display screen. The Samsung Galaxy Note 8 is arguably one the best Samsung phones that have been created. It comes in different colours; silver, gold, black and coral blue and its quality are on point. At Jumia, we provide a variety of Samsung Galaxy Note 8, there are a lot of colours available on our platform you choose from. It ranges from gold, black, grey colour and so on. Shop On Jumia for your Samsung Galaxy Note 8 at a very affordable price.